"I Will Always Love You": The Best of Whitney Houston is a posthumous greatest hits album by American recording artist Whitney Houston. The album was released on 2012 via RCA Records. 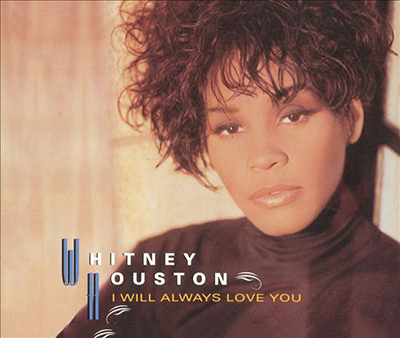 “I Will Always Love You” was covered by Whitney Houston and recorded for her 1992 film The Bodyguard. The song was originally written by Dolly Parton and produced by David Foster. It topped the Billboard Hot 100 for fourteen consecutive weeks; at the time, this was a record for longest number one. It also reached 3 on the Hot 100 after Houston’s death in 2012.